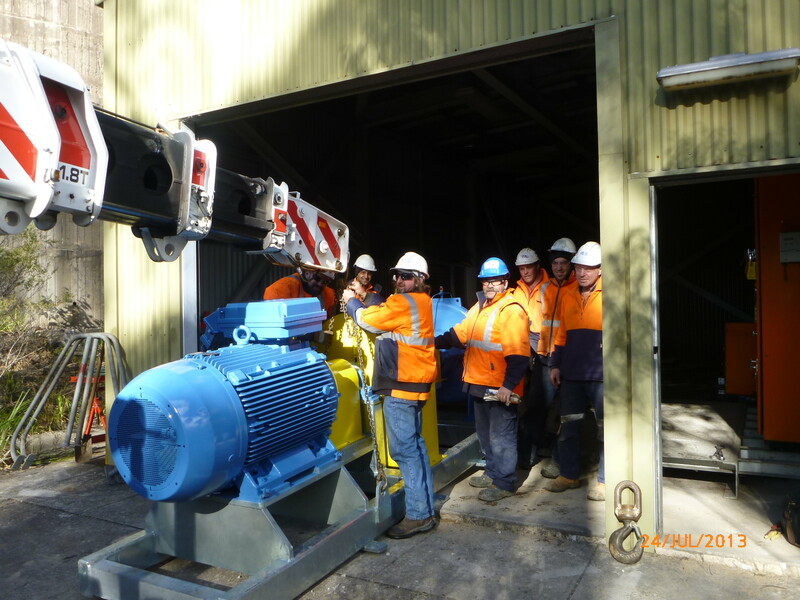 The Upgrade of the Clarence Colliery Water Transfer System consisted of replacing the two existing pumps with 2 x new 315KW Axial Splitcase duty 160L/s @ 120m capable of delivering 14 ML/day. The construction of a new DN 450/315 Gravity Pipeline 3 km long with sections above 15% grade from new maintenance hole to Farmers Creek Dam, including air release points and intermittent maintenance holes along the pipeline. 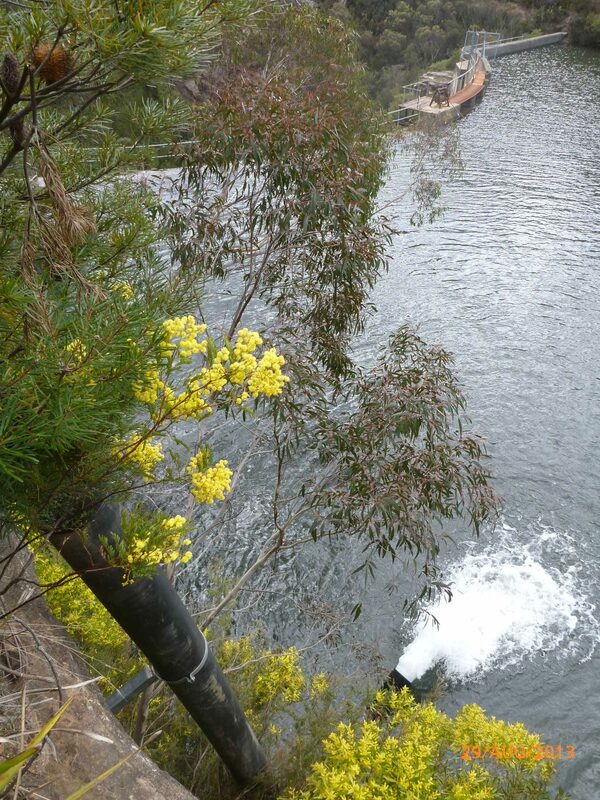 It also included decommissioning the existing settling ponds and associated gravity pipeline. The pipeline was damaged in the 2014 State Mine Australian Defence Force fire (over 54000 hectares burnt) with extensive clean up, replacements and recommissioning being undertaken within a 10 week period. 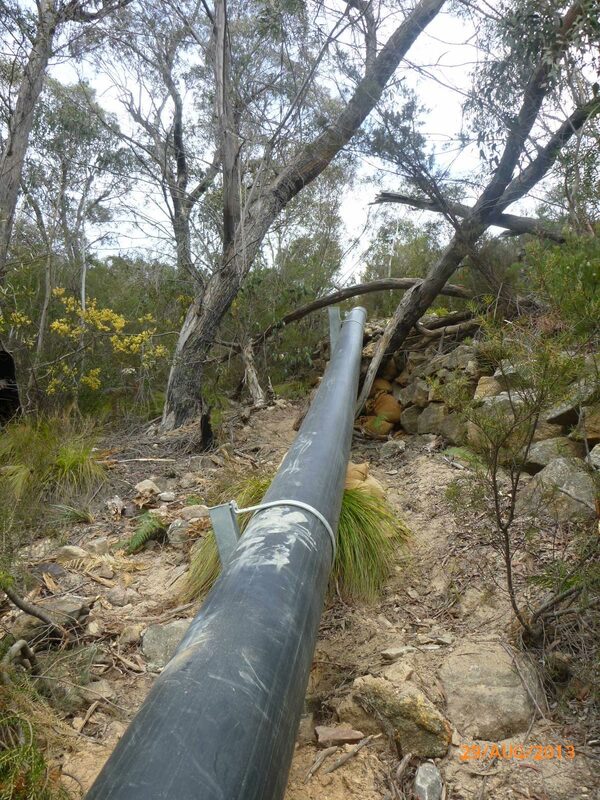 The discharge location of the pipeline drops over the escarpment falling 48m over the final 200m length. TWS personnel were trained and monitored in abseiling down the rock face and installation of rock bolts in this challenging terrain.